i have a request to you check my paper again. I waseem raza given exam of matriculation in feb month of this year. My role code is 51078 and roll no is 1709003. I checked my result but here show "no record found" so please help me sir how this type of problem occurs. Hi sir mera naam Anil Kumar hai.mai Digha Ka Rehne Wala Hoon. Main SC category se belong karta hoon. Mera roll code: 71701 hai aur mera roll number :1700048 hai. Mere father ka naam videshi Ram hai aur meri maa ka naam RajRani devi hai. 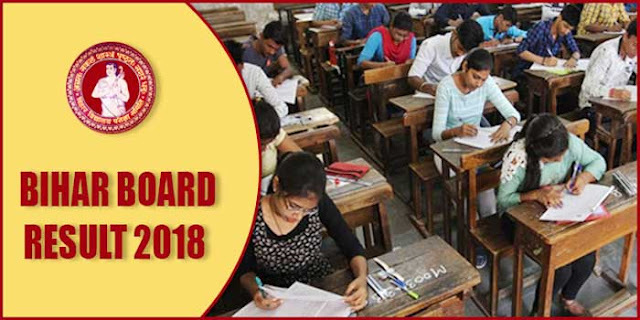 mai aap se yahi Kehna Chahta Hoon ki Mera Matric ka result ka total number 219 hai our 6 number se 2nd division mai nahi aapaya. Mujhe umeed tha ki sst subject mai mera number 30 aasakta hai lekin 19 number hi sirf aaya sir.please madat kijiye sir. I hope you help me sir.i beg you sir please.mera phone no.7979036857. please reply me sir. Sir I'm Gaurav Kumar from Gaya. I'm Students of ISc, I have given my exam this year. I solved all questions but my result is fail in chemistry, I can't believe! I hv applied for scrutiny but i get no change! I can surely say my coppy is not checked,neither at 1st time nor at scrutiny! I'm a student of JEE i attend JEE main i scorecard 32 in chemistry there, i also appeared in WB JEE i scorecard well then how can i fail in ISc ? In order to applying Canada Permanent Resident (PR) Visa, I got the requirement of my Intermediate (10+2) Original Transcript (प्रतिलिपि) on immediate basis. Due to shortage of time tight deadline I am unable to travel to Patna in person and collect the same. I will be highly obliged for your kind assistance on the same. Waiting for your quickest response. Thanks in advance. Please advise me Procedure/Requirements to get my Original Transcript(प्रतिलिपि) for Intermediate (10+2) (Science Stream) ? Course :- Science (PCM) Stream. College :- D.S.S.V. College, SIMRI - Buxar. Please also find attached Marks Statement, Migration & Provisional Certificate for your reference. College principal bol rahe hai ki ka ayega aaj ayega,please mera problem solve kare! I have sent a attached copy of mark sheet for verification in August month. Examination name is Intermediate Examination. Kindly ascertain the verification of mark sheet issued by BSEB bord. It's my humble request because my admission for next year is in pending now . Mai aapko application di par aapne koi reply nhi kiya.aur call kar rhi hu to koi nhi uda rha h.board office gai to koi mila v nhi.mai pichle saal v exam di to fail aur is saal v fail ue ho kya rha h mere sath..father name sahidRamlakhan ray h.mai chahti h ki aap mera copy check kijiye aur copy dekhaya jaye..roll code 41040.roll no18010080..mera application ka v jabab de dijiye anup sir..
Dear sir , I am Rakesh kumar student of 12th science in Inter School Pakri Barma Nawada Bihar Roll no- 122 session year 2016-2018. sir i got admission in 12th science in this school in year 2016 but some critical family issue i cant do registration in year 2017 for intermediate exam and also can not gave exam in March 2018 . sir i want to get registration for exam 2019 but currently their is no option for registration .College principal and their staff including tecknical online registration staff always say that currently their is no option for registration of admission year 2016 they are rejected to do register . kindly give chance in this year so that i can appear for upcoming intermediate exam 2019 please sir do not spoil our career do some effort for this issue immidietly thank you. Sir ,when will the results of BCECE-PCM Group 3rd round counselling declare. Bseb science 12th compartmental scrutiny copy kab se re-check hoga sir Jo 6 se 9 September ko online karna tha. Kab tak results aayega sir . i applied compartment scrutiny for chemistery subject.i miss one number in this subject, so I fail in subject. My total mark in theory in 20. my payment is succesfully paid. but my result is showing awaiting. sir please my scrutiny test result soon giving.so i will grateful for this. Dear Sir / Mam I am a student of BSEB Patna. I passed the exam in 2019. But my result isn't showing me, so please you take an action as soon as possible. My Roll Code No is - 52013 and Roll No is - 19050007 and please say me what is my result. Sir why don't show result of bseb those students give improvement exam. Dear Sir mayraa 12 th result aa gya hy sir hamko sab subject may accha number mila hy bas chemisty or phy may hamko or 5-5 no mil jaata to sir may bhi pass ho jaata pleace sir hamko bhi pass kar dijiye . Sir hamari help kijiye sir mayra name -Abhay kumar hy or sir mayra Roll no 19010023 hy or school code -15097 hy .Sir hamko bhi pass kar dijiye please sir help me.